A sports broadcaster interviewed for a play-by-play job at a university earlier this year. The process included meetings with the athletic director, assistant AD, marketing staff and coaches of the various sports the person would be covering. As he was being escorted down a hallway to the coach’s office, the man felt like a coach who had a 60-second timeout to draw up a play that would win the game. His mind worked furiously to develop plan. What he devised worked brilliantly. The man recalled several of the coach’s notable achievements about which he had read while preparing for the interview. He asked the coach how he had gone about accomplishing such impressive feats. The coach immediately opened up, eager to brag about what he had done. He was like a peacock showing off its beautiful tail feathers. People love to feel important. In a job interview, give the interviewer a chance to brag about themselves. Once the coach got on a roll, the man let him keep going. He knew the coach was like most everyone else. People love hearing themselves more than listening to you, even in a job interview. Let the interviewer speak. He’s going to like what he hears. People love to feel important. Give a job interviewer the chance to brag about themselves. Throughout the meeting, the man consistently spoke the coach’s name. It’s one of the tenants of selling. People love hearing their name, so say it often. By repeating the coach’s name, the man further ingratiated himself. The man was offered and accepted the position. As he was telling me the story of his meeting with the coach, it occurred to me that his three tips for nailing the job interview roughly paralleled the wisdom in Dale Carnegie’s classic book, How to Win Friends & Influence People. If you are preparing for a job interview, or want to best position yourself to take the next step in your sportscasting career, you might read Carnegie’s book. Another great, and free, interview prep resource is How to Make Them Love You and Pay You Too, also by Dale Carnegie. Get your free copy here. 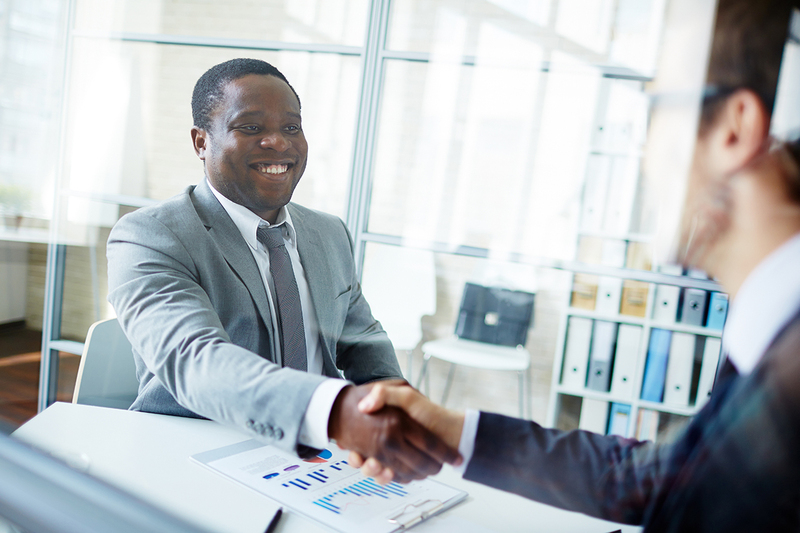 What is your best advice for winning the job interview? I’d love to hear your suggestions and the STAA community would most certainly value your input. If you will please leave your suggestions below, please know how helpful it will be to your fellow sportscasters!